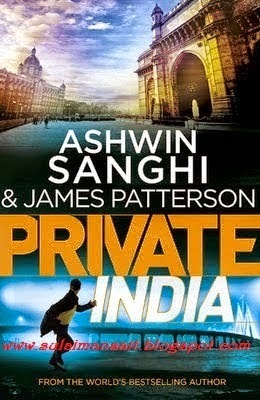 Private India, latest in the Private series by James Patterson, co-authored with Ashwin Sanghi, is a story set in amchi Mumbai. Those familiar with the Private series might find it at home, those not - this probably is not one of the best introduction to the concept. The fundamental requirement of any story is a plot. And when a story grows to be a novel, it requires some sub plots. And then the craft of the writer comes into picture to tether the sub plots together with the underlying plot, taking the reader through ups and downs, twists and turns and a satisfying climax. Though the coming together of names like James Patterson and Ashwin Sanghi would set the expectation of a crisp thriller baked to perfection of style and genre. Sadly, this one falls short. It is apparent that Ashwin wanted to try out something different from his usual mythological thriller genre. This one is a fairly straightforward serial killer story, with a small twist about terrorism, which does not work. Protagonist is Santosh Wagh, head of Private India headquarted at Mumbai. With a team comprised of an attractive lady investigator, a forensic expert & a tech wizard - Santosh sets out to solve serial killings happening all over the city which are apparently very connected and yet not at the same time. Throw in a politician with a murky past, a god man, terrorist involvement and sprinkle a dash of erotica - there you have the standard mish mash of thriller plots. fluid. That is why in spite of running over 450 pages, it is a relatively quick read. The sub plot of terrorism, though a bit predictable in the end is an interesting twist. The use of F* word seems forced at places. Many a times, writers have attempted too hard to divert reader’s attention, ironically, making the twist extremely obvious in the process. The attempt to throw in an extra fact which if correlated can actually make story unpredictable - actually falls short each time, making the reader actually rightly guess what will happen next. Erotica is mainstream these days and the love making scene in the story looks a forced attempt to keep the story racy - a trait of a lot of mainstream contemporary writing. There does not seem to be any need for it from the perspective of the plot progression. But then what’s the need of a song sequence in a thriller, nonetheless it is there in our movies! The protagonist character is absolutely clichéd. A former hero with a glorified past who suffered a personal loss losing his charisma in the process and landing up as a liquor wielding, bad tempered person. He cares about his team, but is not a man of many words. And even gets lucky, when nothing else works! is a far simpler story. If you are on a long train ride, this could be used to kill time. Sadly that is exactly what it does. A complete review Roohi and an honest one too, specially on points where the authors are getting overboard. It's a good review post. Actually you can go for this when you have absolutely nothing to do and stuck somewhere and need to kill time :) Otherwise there are far better things to do when you are bored.. It has to be honest always, Indrani. Can't let down my readers. 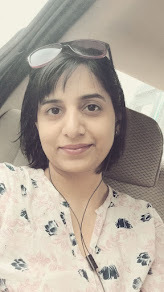 Such a fair review Roohi, let me tell you, I am reading the review of this book on almost every second blog, thanks to Blog Adda, but then really liked your review. I do agree with this statement of yours: "Erotica is mainstream these days and the love making scene in the story looks a forced attempt to keep the story racy" honestly I too don't like the use of F* word and love making scenes in books. This is becoming a trend now in Indian authors. Thanks Alok. Though I am not sure how Blogadda will take this and will they give anything to me in future for review but that's what review means, right? Some people like somethings and some doesn't. Ah at last landed on a review that spoke exactly what I thought after reading the book... At first I refused Blogadda to send me avoid obligation of reviewing... but after seeing so many praises in different blogs I ordered it from FK only to find it very ordinary read :-( ... well reviewed Roohi! A case of 'two' many cooks spoiling the broth? Was quite disappointed too with the read.